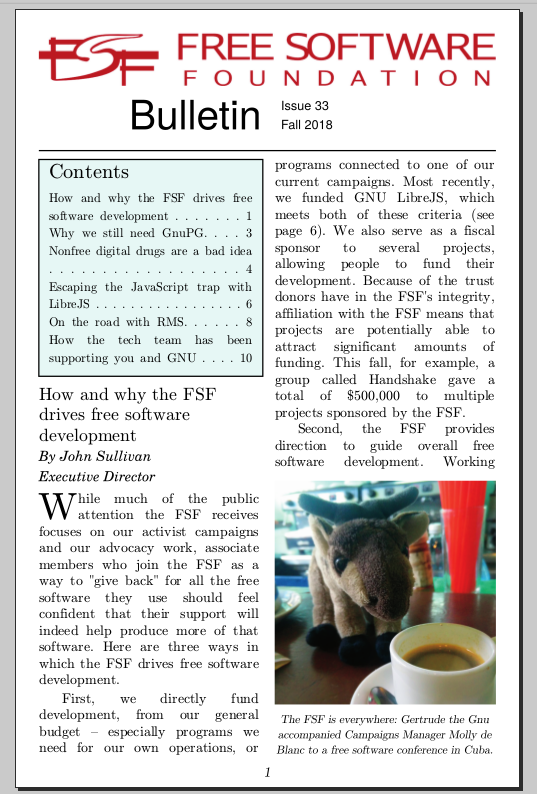 The FSF publishes its newsletter twice a year. Here you can download copies to print or read online. Previously, the GNU Project published a bulletin, which is also available. We also have the source code for the scripts used to generate the bulletin.